This post contains major plot points from this week’s Game Of Thrones. 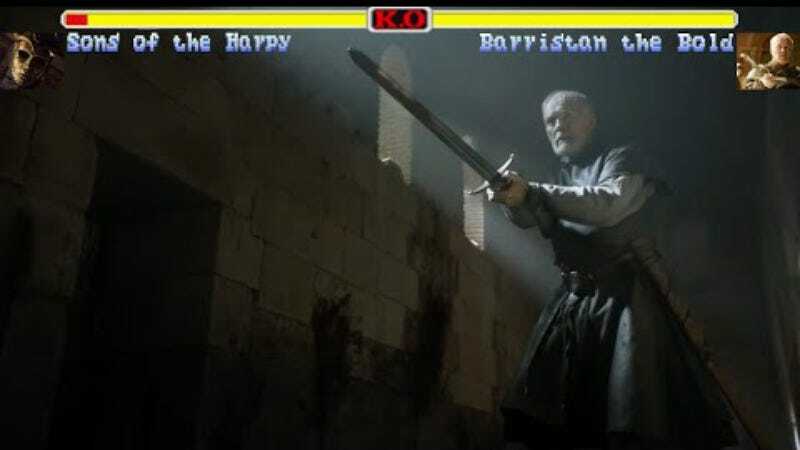 Ser Barristan Selmy and Grey Worm probably didn’t top many fan favorite lists, but their (probable) deaths at the hands of the Sons of the Harpy on this week’s Game Of Thrones proved surprisingly heartbreaking. Thankfully YouTube user Ozzy Man Reviews turned the whole final battle into a Street Fighter parody, allowing fans to laugh off yet another in a long line of painful deaths on this show while we try not to think about how sad Missandei is going to be.